The next installment of the Captain America franchise, Civil War, is shaping up to be one of Marvel’s biggest efforts yet. The comic book film will continue its foray into the extended universe, reprising a number of characters from other Marvel movies including Iron Man, Black Widow, Hawkeye, Ant-Man, Spider-Man and much more. 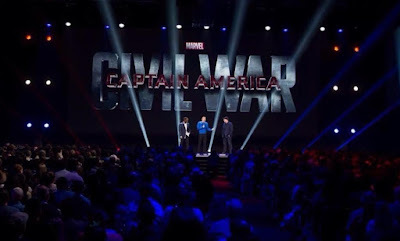 Captain America himself, Chris Evans, was joined by Anthony Mackie (The Falcon) and Marvel Studios President Kevin Feige on stage at D23 to present scenes from Civil War.